Their music was partly inspired by American acid rock, but heavy and blues based like a mixture of Black Sabbath, Cream and Led Zeppelin. November started in 1968 at Tegelhögen, a youth club in Vällingby (a Stockholm suburb). At this club Christer Stålbrandt and Björn Inge played together with two friends as The Imps. After a few months Stålbrandt left the group to form a new group called Train. Björn Inge joined shortly after. Train also included Snowy White on guitar. In the early autumn of 1969 Snowy decided to return to his native homeland, England, and Richard Rolf joined as their new guitarist. On November 1st, 1969 they supported Peter Green's Fleetwood Mac at the Que-Club in Gothenburg, and therefore they decided to call themselves November. 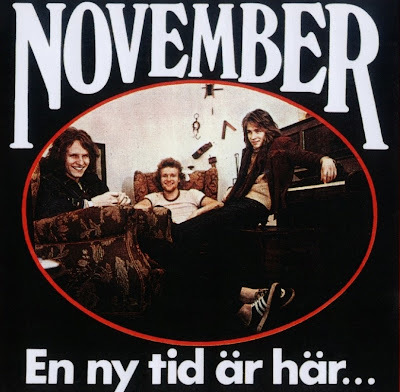 November was one of the first Swedish rock bands with Swedish lyrics. Most of the lyrics were written by Stålbrandt, influenced by the 60's flower power movement. 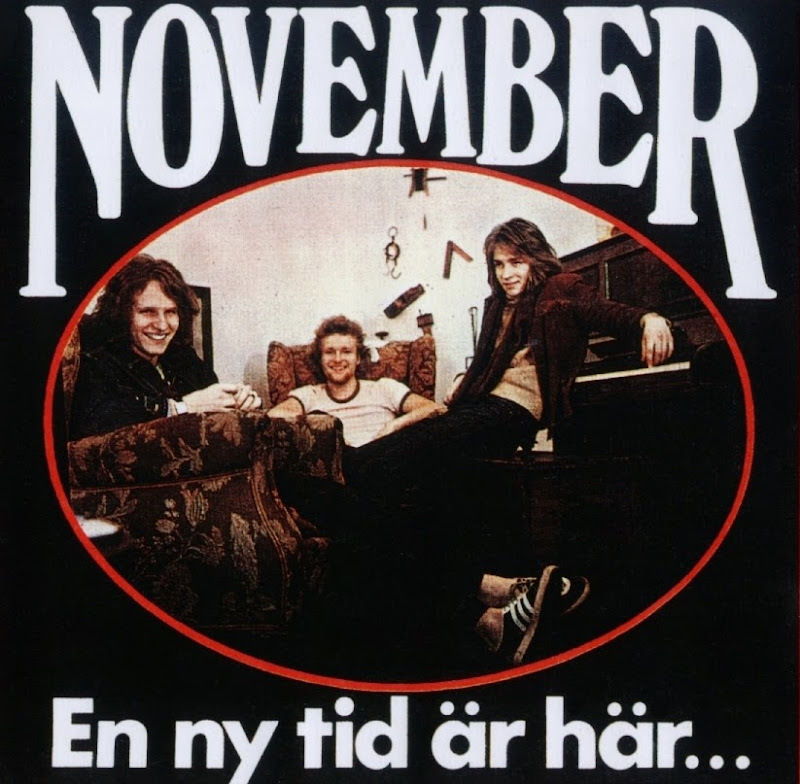 Despite the Swedish lyrics, November was quite popular in England. While touring in England the lyrics was often translated to English, the crowd, however, insisted on the band performing with Swedish lyrics. November recorded three albums which all reached high places on the Swedish charts. After their last concert at club Domino on New Year's Eve 1972 the band split up and had up until 2007, only performed once, namely during the release party for the CD November-Live 1993 (recorded on tour in 1971) on 30 Nov 1993. Christer Stålbrandt moved on starting the group Saga, Björn Inge joined jazz rockers Energy, and Richard Rolf was one of the forming members of Bash and later on joined Nature.